Harrisburg Pennsylvania files for bankruptcy. Is it the first of many cities to do so? Harrisburg Pennsylvania, the state’s capital city, filed for chapter 9 municipal bankruptcy today. According to an article in the Wall Street Journal the city council rejected a state backed plan which would have amounted to a state takeover of the city’s financial system. apparently many on the city council preferred bankruptcy to surrendering sovereignty to the state. Apparently the city council rejected the plan also because it would include selling and/or leasing many of the city’s assets. This too would amount to a turn over of sovereignty to others outside the city and loss of control over the city. I wrote in a previous blog that I believe it’s much better for a city to file for a chapter 9 municipal bankruptcy and keep its assets than to sell them. Better to get rid of debt and keep the city’s assets intact for the people of the city. Usually it is pensions of city workers that are the problem and they need to be re-negotiated after a bankruptcy. The article points out though that there is also a problem with debt holders who demand payments and concessions that the city can’t make. Bankruptcy, or the threat of it, can cause these obligations to be re-written down to a level that the city can afford and it can keep its assets to boot. So I believe the city did the right thing by filing bankruptcy. According to the article 48 cities have chosen to file for bankruptcy since 1980 and I believe that there will be many more during this recession. Many cities, like my city of San Diego, have over-promised pension benefits to city employees because of the unfortunate and wrong practice of public service unions being able to collectively bargain. This allows city unions to lobby officials for extraordinary benefits and the officials grant them because they get votes in return. The taxpayer is then on the hook to pay. Bankruptcy can break these contracts ans save the city’s budget from being busted, and the taxpayers from being over-taxed, and city assets from being sold off. The city officials who voted for bankruptcy stated that not only they were forced by bondholders into the bankruptcy but they also could not raise taxes. If they were forced to raise taxes to the extent necessary to pay this debt then the city would essentially be abandoned its people who could not afford the taxes. Harrisburg already has a poverty rate of 29% so its citizens could ill afford to pay these taxes. The city also has many government buildings in it and these buildings pay a reduced property tax rate which adds to the city’s problems. In addition there is a $310 million trash incinerator that was meant to produce clean energy but now no one can pay for. The city has the responsibility for the debt for the incinerator and the city can’t pay. It sounds like another green energy debacle to me. Many others are fighting the bankruptcy decision and the residents are divided. It’s unclear whether the city is insolvent too. But according to a USA Today article they listed $458 million in creditors and claims. Many of these were related to legal actions that were filed against the city because of the incinerator. It sounds to me that Harrisburg, like a lot of other US cities, is in exactly the same position that many of my clients are in. They are broke, exhausted, tapped out, underemployed, and teetering on the brink of disaster. It only takes one incident to throw them over the financial edge into bankruptcy. One more bad (trash incinerator) deal will force them to file bankruptcy or default on their debts or lose control of their lives. I therefore support the move as I believe in bankruptcy. It can be a vehicle to wipe away debt and allow a city or a person to get a fresh start. For more information please visit my website at: www.farquharlaw.com or www.freshstartsandiego.com. Or call my office for a free consultation at (619) 702-5015. If you or someone you know may need to file bankruptcy please get my FREE E-BOOK “13 THINGS YOU SHOULD DO TO PREPARE FOR YOUR BANKRUPTCY FILING” by e-mailing me at farquharesq@yahoo.com. Possible foreclosure settlement with the banks! $20 billion to be set aside by banks to fund mortgage modifications! According to Fox Business there is a potential agreement to reach a settlement between the banks and the Department of Justice over the banks’ use of improper mortgage practices and robosigning. There are numerous types of improper mortgage practices and robosigning was the practice whereby the banks signed batches of mortgages without reading them. Bank of America and Chase are the banks that are announcing the settlement which is good because they are two of the largest banks. I did not see Wells Fargo listed in the potential settlement agreement. The settlement would contain $20 billion in a “monetary relief fund” that presumably would be set aside to use for mortgage modifications.. This would hopefully allow people who had previously been turned down for a modification in the past to now get a modification. Also part of the deal is an overhaul of the entire mortgage system by putting in sweeping new guidelines that would fundamentally change the industry like the Tobacco settlement changed that industry in 1998. None of the banks nor the justice department is commenting on the deal and there are several sticking points. The banks want immunity from lawsuits if they do this overhaul and set aside $20 billion. Several states have problems with giving the banks immunity. California has already apparently said that it won’t and it has backed out of the settlement. Arizona and Nevada are separately suing Bank of America and New York state has its reservations too. There are numerous class action lawsuits filed against the banks which the banks want to get dismissed as part of the settlement. Also its unclear what the requirements will be to receive one of these settlement mortgages/modifications. The administration has a bad history of running these programs. The article points out that the Emergency Homeowners’ Loan Program (EHLP) was just shut down as it was badly administered, had too high income requirements, and failed to help nearly the number of people who it was designed for. It’s hard to say what will come out of this. If $20 billion is set aside then there will be a pool of money to lend to people or to fund modifications that were previously denied. That would be a good thing. But if this program is as poorly run as EHLP then people may have trouble accessing it. It would be a good thing though if there were new standards for determining what was required for a modification. My clients would universally all tell the same horror story of what happened when they applied to get a bank to modify their loan. They would send the same documents to the bank over and over again and each time they called they would speak to a new person at the bank. No one at the banks knew what was going on or what was needed to process the application. They would eventually give up or they would be denied because they suddenly made too little money. Sometimes they would be paying the new modified rate for a year when they were denied. This is a system that is broken beyond repair and which needs some standards and some predictability. Why can’t there be set rules governing mortgages and mortgage modifications? Why can’t those rules be written so that people can understand the rules and know what is required of them? Why can’t they have some assurance that if they follow these rules or comply with these requirements they will get their mortgage or their loan modification? It’s not rocket science and it the mortgage industry should not be an enigma wrapped in a riddle surrounded by a mystery as Winston Churchill said. So I look forward to more straight forward standards and lets hope that something good comes out of this settlement so more people can modify their mortgages and keep their homes. In the mean time I always advise my clients that if they have a lot of other credit card type debt then they should file for personal bankruptcy. This will eliminate these payments and free up income so they can qualify for a modification. It will certainly help their debt to income ratio. I will give more updates in the future if and when this settlement is reached. 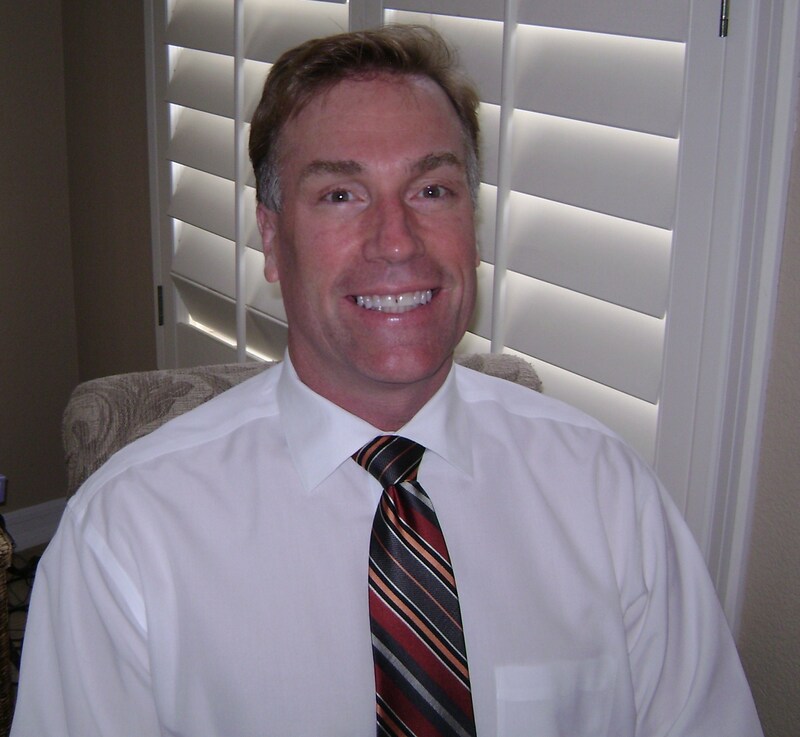 I am a bankruptcy attorney practicing bankruptcy law in San Diego, CA. For more information please visit my website at www.farquharlaw.com or www.freshstartsandiego.com. Or call my office for a free consultation at (619) 702-5015. If you or someone you know is considering bankruptcy then get my FREE E-BOOK “13 THINGS YOU SHOULD DO TO PREPARE FOR YOUR BANKRUPTCY FILING” bt e-mailing me at; farquharesq@yahoo.com. Will my landlord be notified of my bankruptcy and can he evict me if I file? No! Your landlord will probably not even know that you filed and if he did you are protected by law. A landlord cannot legally evict a tenant for filing bankruptcy. If you file bankruptcy and then try to move in a landlord can keep you out only if he has a policy that every prospective tenant has to follow where he will not rent to bankruptcy filers. But if you are already in your rental unit and you then file bankruptcy then you are protected by law and the landlord cannot evict you for filing. Probably though he will never even find out that you filed for bankruptcy. It is only if you have a unexpired lease for any amount of time that he would be notified of your filing. If you are month to month then your landlord won’t be notified. But if the landlord somehow finds out about your bankruptcy or he is notified directly because of an ongoing lease he still cannot evict you. If your landlord tries to evict you after a bankruptcy and because of the bankruptcy then you can fight the eviction in California. I believe other states have similar defenses to unlawful evictions. Remember that you have a federal legal right to file for bankruptcy. No landlord can challenge that or take it away or discriminate against you for exercising your legal federal right to get a fresh start with our debts! If the landlord is smart he will see that you can now pay rent more easily as you will have discharged your credit card, medical, deficiency balance, and other debts in the bankruptcy which will free up more income to pay for rent and your other necessities. You may get a landlord that does not care or even is happy that you filed. But either way don’t be intimidated by a landlord who threatens an eviction. You can fight the eviction and win if the reason he is evicting you is because you filed for bankruptcy. I am a San Diego bankruptcy attorney. For more information please visit my website at www.farquharlaw.com or www.freshstartsandiego.com. Or call my office for a free consultation at (619) 702-5015. Call now for free credit report and analysis! If you are considering bankruptcy then get my Free e-book; “13 Things You Should D to Prepare For Filing Bankruptcy” by e-mailing me at farquharesq@yahoo.com. Where can I get my credit report and how much will it cost? Good news! It’s free! But don’t go anywhere that say “free credit report” and expect a free report with no strings attached. The proper place to go is annualcreditreport.com. This is the site that the credit reporting agencies were forced to set up by law so that you as a citizen can get your own credit report free of charge. This is a great idea I believe as this information is crucial to you and determines how much you will pay for credit. You have a right to see this information about yourself without paying a fee for it and you cannot suffer any change in your credit score for looking up our own credit. This is important because when you attempt to get credit your score is lowered every time a creditor checks your score. Those who passed this law wanted to make sure that this did not happen to people checking their own scores. On annualcreditreport.com you will get to choose which credit reporting agency you want to go to. The three agencies are Equifax, Experian, and Transunion. You get one report from each agency each year. You could therefore check your credit for free every four months from one of these agencies. Checking the credit will show you if you have any mistakes on your credit. You will not be able to see your credit score for free but you will see which creditors are listed and what the amount of the debts are to see if there are any mistakes. This is especially important after a bankruptcy to see if these debts are being reported correctly as “discharged in bankruptcy”. If you did not do a bankruptcy then you still would want to check the accuracy of the information listed there. If you find any mistakes then you can challenge them with the credit reporting agencies. Just go to their sites and the will have phone numbers, addresses, and e-mail for you to send the challenges. Don’t be afraid to do this as this information is extremely important to you. Most credit reports have inaccuracies on them so go ahead and check and correct them. I am a bankruptcy attorney in San Diego, CA. Please visit my websites at www.farquharlaw.com and www.freshstartsandiego.com. . If you are considering bankruptcy then get my Free e-book; “13 Things You Should Do T o Prepare For Your Bankruptcy Filing” by e-mailing me at farquharesq@yahoo.com. How to re-build your credit score after bankruptcy! New strategy! I heard a program on the radio the other day that was talking about how to improve your credit score in general so I listened. The announcer said some of the things that I have been telling my clients with some differences. First of all he said that you must have credit cards. Many of my clients say that they will never use credit cards again after the bankruptcy and that is absolutely wrong. You must have credit and use credit if you are ever to improve your credit score. Your credit score is determined by the three credit scoring agencies who look at your financial activities for the month to determine if your score should go up or down. These three reporting/scoring agencies are Equifax, Transunion, and Experian. It is important to remember that you must get over the aversion you have to credit cards after a bankruptcy. You must begin to use them wisely so they can help you and build your credit score instead of tear it down. Don’t be afraid to use them and use them wisely. They will help you rebuild your credit score. Don’t allow emotion to enter the equation. You can use them to your advantage if your smart and diligent. I was telling people to have two credit cards and this announcer said to use at least three credit cards to improve your score but we both agreed that having both credit cards and using them regularly were essential to get a maximum credit score. He said that he paid bills with his cards and that he had around five cards each used to pay a different bill. One was for the cable bill, one for the utility bill, one for the water bill, and others for other bills. He would pay the bills with the cards and then pay the credit card balance in full each month. I believe that this is a good idea. You will therefore carry no balances and pay no interest on your credit cards. You will though be using the credit cards to rebuild your credit score. This kind of activity is apparently what the credit reporting agencies are looking for. It does you no good to have cards sitting there unused. You need to show activity and a payoff each month to slowly but steadily build your score. And remember that multiple cards (excess of three) will build the score the fastest. The last thing is to keep your balances low. Never exceed 30% of the available credit on your card. So if you have a $500 limit only charge$150 and if it’s a $1000 limit then only use $300. Traditionally people have advised not to exceed 50% of your available credit but now 30% seems to be the better number so I’m sticking with that. After a bankruptcy you will be deluged with credit card offers so if you file one then be prepared to use these to build your credit score. I am a bankruptcy lawyer practicing bankruptcy law in San Diego CA. For more information please visit my websites at www.farquharlaw.com or www.freshstartsandiego.com. Or call may office to speak to an attorney for free about bankruptcy or any other debt related issue at (619) 702-5015. If you or someone you know are considering bankruptcy then get my Free e-book; “13 Things You Should Do To Prepare For Your Bankruptcy Filing” by e-mailing me at farquharesq@yahoo.com. Has a creditor threatened you with jail if you don’t pay them? FDCPA says this is illegal! Has a creditor threatened you with jail for non-payment of a monetary debt? This is most probably illegal according to the Fair Debt Collection Practices Act (FDCPA). Collectors often harass and threaten debtors with all sorts of things that they have no right to threaten. They will often threaten jailing you if you don’t pay today! A person just contacted me with this problem and the client was threatened by a creditor to have police show up at their work and arrest them if they did not pay today! And this creditor did not even file a lawsuit yet! This is clearly illegal! With no lawsuit filed there is no judgment and with no judgment no legal right to collect on this debt. This creditor would have to first obtain this judgment which would give them the right to collect but in California there is no going to jail for owing strictly monetary debts. And to threaten that police will show up at someone’s work and arrest them when they cannot is a violation of FDCPA section 807(4). In that section it clearly states that an implication that non-payment will result in arrest or imprisonment unless that action is legal and intended by the party is a violation of this law. In my client’s case there is no arresting or jailing someone for owning monetary debts so this threat was a violation of the law. If my client could prove it then we could win damages against this collector. I told this person to tell the collector that they were recording the call next time and see how fast he hangs up. Section 807(5) restates this and says that any threat to take any action that is not legal or intended is a violation of the FDCPA. So this collector violated this section too. My question is can we get this guy to say this clearly into the microphone so we can replay it for the judge? So don’t take any crap off of these creditors. I hate to hear these stories and I answer these e-mails immediately. We live in a great country where we pride ourselves in our freedom but if these collectors can violate the law with impunity then it threatens all of us. In a previous blog I discussed how these collectors by far receive the greatest number of complaints to the Federal Trade Commission. They routinely harass, threaten, bother and annoy people and they are now routinely violating the law I believe. So know your rights and don’t allow them to bamboozle you. I am an attorney who practices bankruptcy law in California. For more information please visit my websites at www.farquharlaw.com or www.freshstartsandiego.com . Or call my office for a free consultation at (619) 702-5015. Call now for free credit report and analysis! If you or someone you know needs to file bankruptcy please get my FREE E-BOOK; 13 THINGS YOU SHOULD DO TO PREPARE FOR YOUR BANKRUPTCY FILING” by e-mailing me at: farquharesq@yahoo.com.